18:30 – 19:20 Hrs: Sound & Light Show At the Pyramids. visit the Town of Alexandria (the Pompey’s Pillar, the Catacombs of Kom-shogafa, Pompey’s Pillar is A roman Triumphal Column in alexandria, egypt, and the Largest of Its Type Constructed Outside The imperial capitals Ofrome and constantinople. the Only Known Free-standing Column In roman Egypt which Was Not Composed Of drums, It is One of Thelargest Ancient Monoliths and One of The largest Monolithic Columns Ever Erected. the Site of Khan El-khalili Was Originally the Site of the Mausoleum Known as The turbat Az-za’faraan (saffron Tomb), which Was the Burial Site of The fatimid caliphs. the Mausoleum Was Part of the Fatimid Great Eastern Palace Complex, Begun in 970 Ad By gawhar Al-siqilli, the General Who Conquered Egypt for the Fatimid Dynasty and Founded Cairo that Same Year. 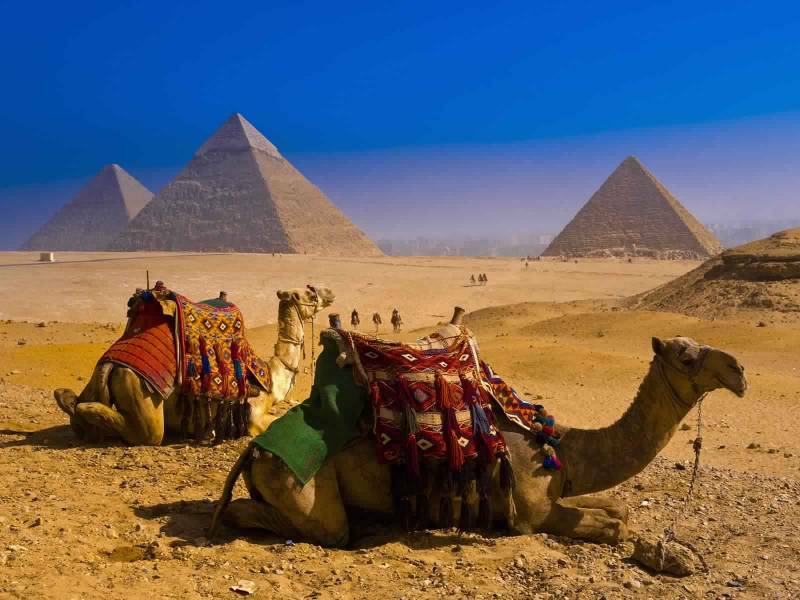 09:00 A.m.: Visit the Pyramids of Giza and Sphinx, The great Pyramid of Giza (also Known as The pyramid of Khufu or The pyramid of Cheops) is the Oldest and Largest of the Three Pyramids in The giza Pyramid Complex bordering What is Now el Giza, egypt. It is the Oldest of The seven Wonders of the Ancient World, and the Only One to Remain Largely Intact, Continue to Visit the Papyrus & Perfume Factory Where You Will have Some Time for Shopping. later Egyptian Museum of Antiquitieswhich Houses One of the World’s Greatest Collections of Egyptian Artefacts. transfer to Cairo International Airport for Final Departure .